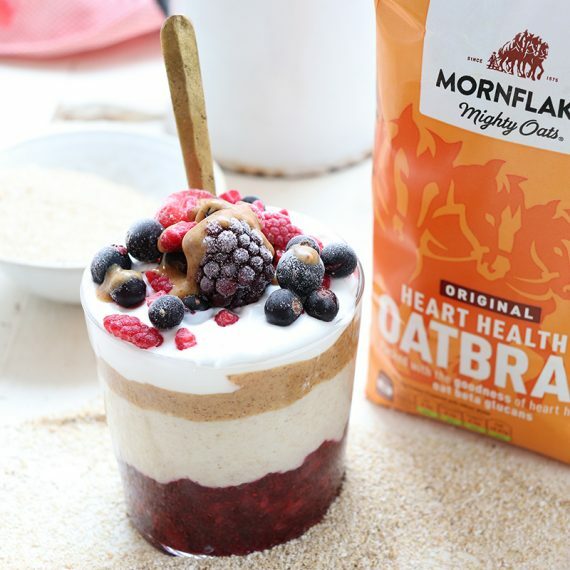 Just a few brilliant ingredients – oatbran, oat mylk, chia seeds and red berries will make the basis of this heart healthy breakfast. Prep the vanilla oatbran and red berry chia jam the night before, then layer in your favourite container for an easy breakfast-to-go. Prepare the vanilla oatbran and red berry chia jam the night before. To make the vanilla oatbran, add the oatbran to a saucepan, add the vanilla extract and pour over the oat mylk. Cook gently over a medium heat for 10 minutes, stirring occasionally. Leave to cool, cover and store in the fridge overnight. To make the chia jam, add the mixed berries to a saucepan with the chia seeds and cook over a low heat for 10 minutes, stirring occasionally. The berries will start to soften and the mixture will start to thicken into a jam consistency. Mash any of the larger berries until you have the desired consistency. Remove the jam from the heat, leave to cool then place in an airtight container in the fridge for up to a week. 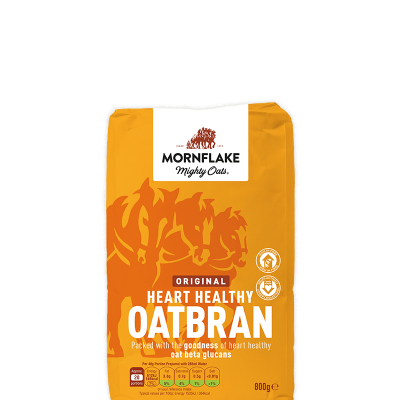 In the morning, add a splash of oat mylk to the oatbran and stir. 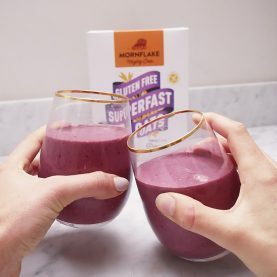 Add the berry chia jam to the base of a glass, spoon over the vanilla oatbran, a layer of peanut butter, a layer of coconut yogurt and finally a spoonful of mixed berries. 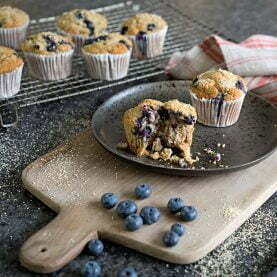 The remaining oatbran and chia jam can be kept in the fridge for breakfast the next day.